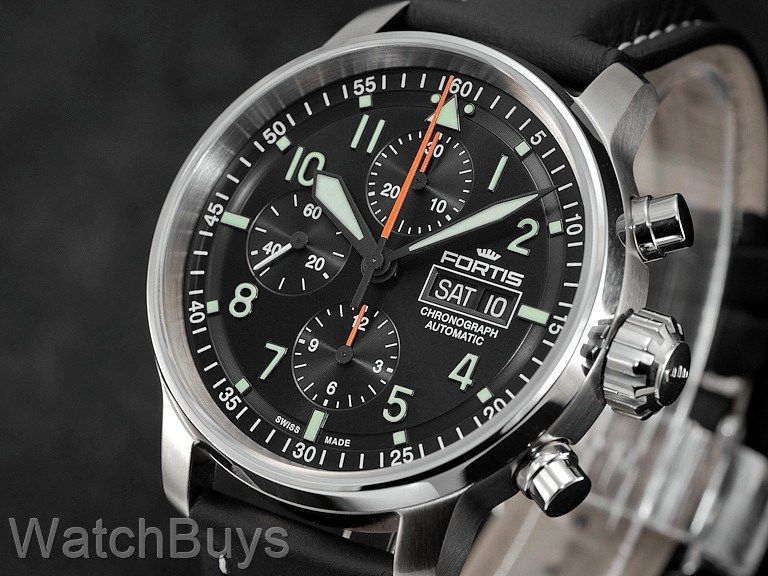 Fortis has a rich tradition in producing Flieger (pilot) watches. 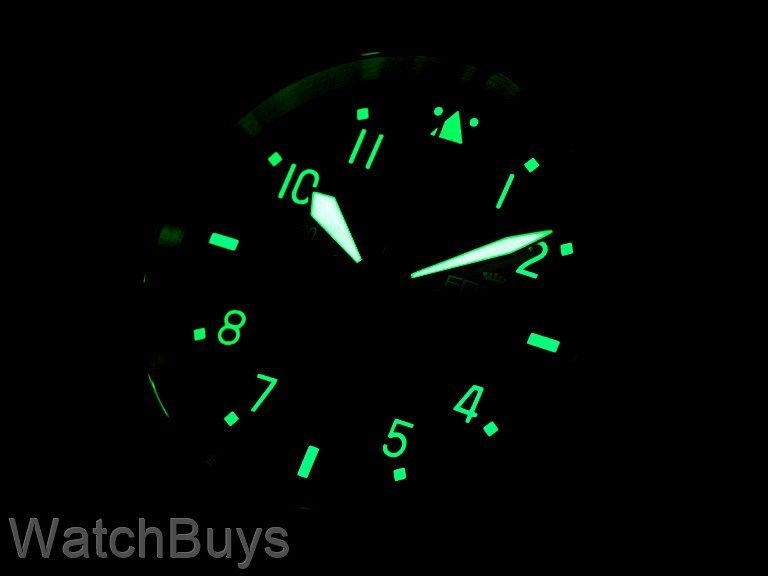 Many would argue that the brand was one of the first to bring back and highlight this style of watch beginning in the mid 1980's with their Flieger Classic line. Welcome to the latest series of Flieger watches from Fortis, the Fortis Flieger Professional Series. One of the most interesting features of the new Fortis Flieger Professional Series is actually one of the smallest - the crown. Fortis invested a lot of time to get the new crown design just right. Their term for this crown is a mouthful - the "new brand representative crown". What they mean is that this new crown design is not only highly functional, easy to grip and stylish, but is actually designed in the style of the Fortis logo. Housed in a 43 mm case, the Fortis Aviatis Flieger Professional Chronograph sports a matte black dial with applied indices and numerals. These numerals, as well as the hour and minute hands, are coated in a special green tinted SuperLuminova, providing crisp legibility in any lighting. The watch also features a new case design and finish - the bezel is highly polished while the case is brushed. Fortis has also added a day indicator next to the date at 3 for increased functionality. All chronograph related hands are painted orange making for quick and easy identification. This watch is fitted with a black Fortis calf leather strap with white contrast stitching and Fortis tang buckle. 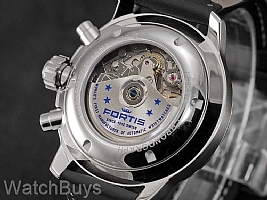 Verified Owner Comments: I recently purchased from WATCHBUYS a Fortis Flieger Professional Chronograph. I must say this was the easiest and most positive experience making a watch purchase I have ever made. WATCHBUYS was great to deal with and actually contacted me after the purchase. As for the watch, all I can say is that it is great. It runs a little fast, but I suspect it will calm down after a while. 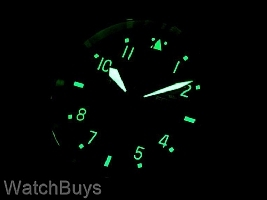 If you are thinking about buying a watch from WATCHBUYS, don't hesitate. They are truly great to deal with while providing quality service and excellent timepieces. "Fortis Aviatis Flieger Professional Chronograph"
Verified Owner Comments: I have a 7.5 inch wrist and I love this chronograph! It wears perfectly on my wrist. I love the simplicity and legibility of the dial design. The day & date are actually large enough to be seen without glasses! 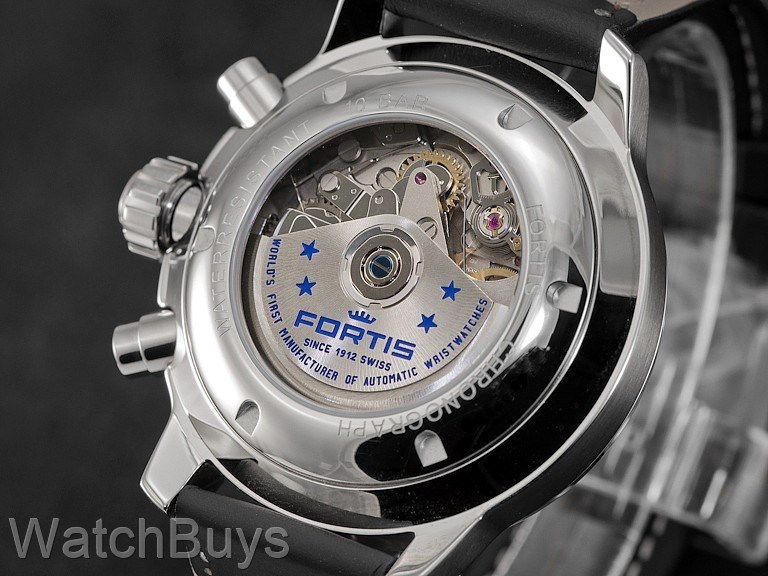 The price is a massive bargain, for an ETA 7750 movement and the Fortis quality of detailing. This one is a keeper! Verified Owner Comments: This is an excellent chronograph watch. Well built and very nice looking. Watchbuys was excellent to work with.